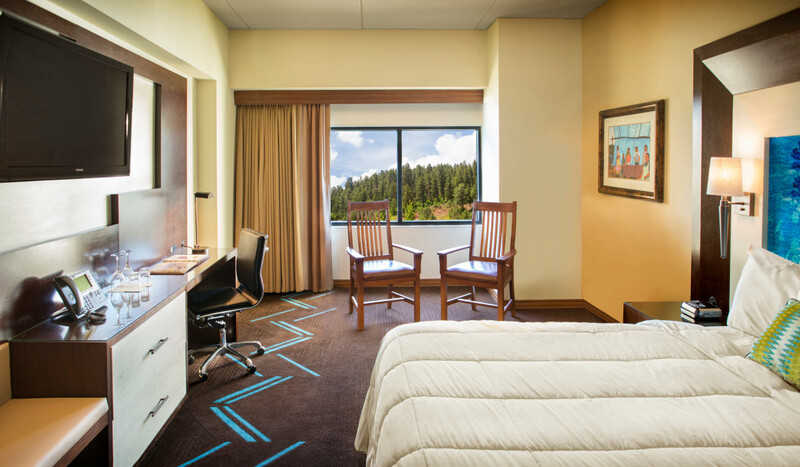 Our beautiful standard rooms come with a pillow top king bed, or two pillow top queen beds, and include high-speed internet connection, flat screen TV, SoundFlow Wireless Audio Clock Radio, iron and ironing board and hairdryer. Rooms are luxuriously appointed with terry cloth robes, personal care amenities, ice bucket, coffee maker, ample towels and extra pillow and blanket. Smoking and non-smoking rooms available. No pets permitted. Must be 21 years of age or older to book a room. Check-in begins at 3:00pm (not guaranteed due to high volume of occupancy). Check-out is at 11:00am. *Some amenities are available by request only.